I have been going to this dealership since the 1980s when they were just Mauro Motors on Dixwell Avenue. 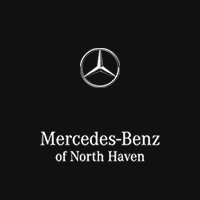 Whether as Mauro Motors or Mercedes-Benz of North Haven, they are the most helpful, friendly and professional business I have ever dealt with. While getting my car serviced, an employee asks if I'm leaving soon then blocks my car in. "No sir, I plan on living here in my car." Great experience, nice and friendly people. The best thing: they didn't try to trick us. It's square and fair. Very professional. We strongly recommend them. The customer service is very pleasant. They are nice an explain everything thats being done when its time for repairs. Though Fairfield Mercedes-Benz is MUCH closer to my home, I gladly go out of my way for sales and service at North Haven. Great sales and service people. Makes it worth the trip. I've bought or leased all of my MB cars here.